Whether you are considering to work on a major renovation on your house or just working on minor house improvements, nothing gives goods results than using skills and working with professionals. The renovation work can sometimes be very engaging but this article will focus on simplifying every bit of renovation and provide you with facts and tips that will make the work perfect. Here are some of the 6 tips on how to breathe a new life into your aging house and continue to enjoy the stay. The current condition of the house will be a major determinant on whether to consider a major or minor renovation direction. It’s therefore important to capture the latest details of the house and know the exact problem you are working against and the expected result after renovation. Set aside a small budget to be used by a professional surveyor that will help give you the accurate measurement on what exactly should be changed and how it can be done perfectly. Before you can engage in the house renovation, it’s important to have the estimation of the required budget that will complete the changes that are needed. It’s also important to check on the terms and condition as some of the mortgages may have the option on shared budget while carrying out the renovation. Since its advisable to carry out the changes at once while carrying out house renovation, setting aside enough budget to finish the renovation once started will work better for you. Once you have discovered the nature of work that is needed on the house, it’s important to have a clear breakdown on how events shall flow down. This will clearly show where you can start the work and which part to end the work hence avoiding interfering with the parts that have been renovated. The safety of the house environment is very critical especially during renovation and its necessary to inform the public of the ongoing works. When the house is occupied and you need to take a major renovation, it’s important to relocate the occupants if the renovation is a major one. This will also ensure that that material that is being replaced on the house yet can still be sold for other uses aren’t taken to waste but instead sold. With the final objective of renovation set at making the house get a new breath, the renovation stage will require a constructor with a good work record. When you are ready to get the work started, shop for a list of constructors and from them chose on the bet. 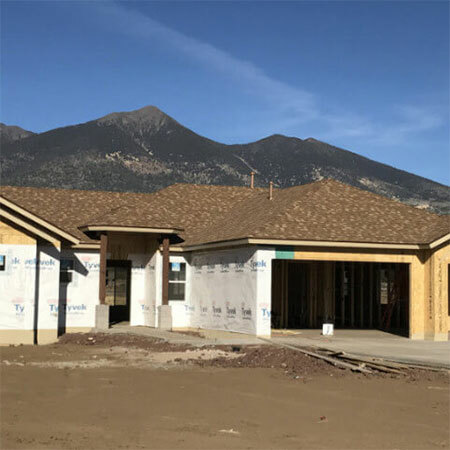 In most renovations that are done, the roof is likely to be the victim of all time and Polaris Roofing in Flagstaff, AZ is what will change it all. Those materials that require to be purchase afresh must meet the required stared and replacement must be done where necessary. Don’t do the last part of the work first, simply plan the work such that painting and interior design should take the final stages. This will ensure that you take the general requirement and consider the perfect finishing of the whole house. The above tips are important and can be used to ensure that every step is followed hence avoiding making worst mistakes when carrying out renovations. This option also gives you a new smile and warns you against neglecting your house. If you don’t have the budget to construct a new house for your family, renovation is always a new hatch with a favorable budget.